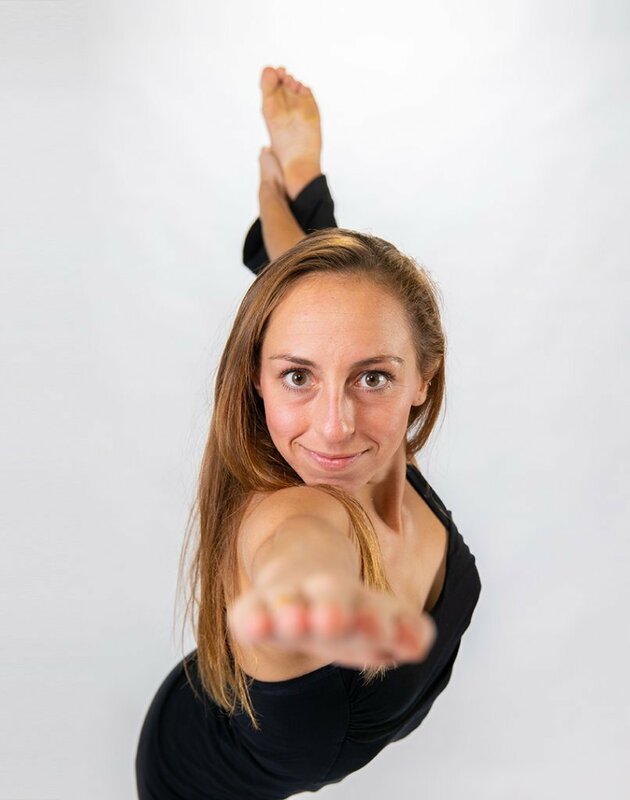 Kylie was born and raised in Indiana, but ventured to Pittsburgh for college earning a BA in modern dance. During a summer break from dance school, Kylie searched for a place keep her limber, and that’s when she discovered The Hot Room. Today, Kylie splits her week teaching dance and yoga. Yoga and Pilates is a great compliment for dance, and you will occasionally see one of Kylie’s students visit The Hot Room. Always full of energy and life, Kylie brings a powerful energy to each class. This is her personal endeavor to help people feel alive. Standing bow pulling pose, because I have come so far but still have a lot of potential ahead. I love to dance and eat different kinds of food in the city.